Easter Orders! Hot Cross Buns, Placek, Dinner Rolls, Quiche, Ham and Kielbasa. Spring is here and Easter is on its way! We are offering lots of delicious options for your holiday table. Our buns, rolls, and breads are made with organic flours and sugars, creamy butter and all natural ingredients. 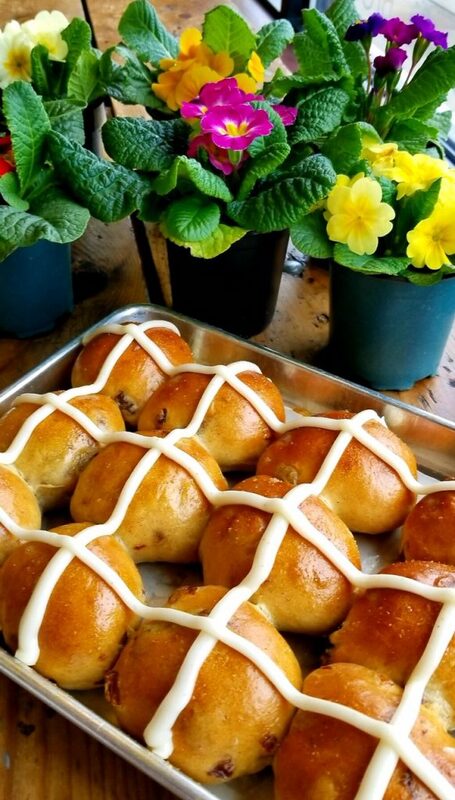 Hot Cross Buns $9.00/ 1/2 doz. 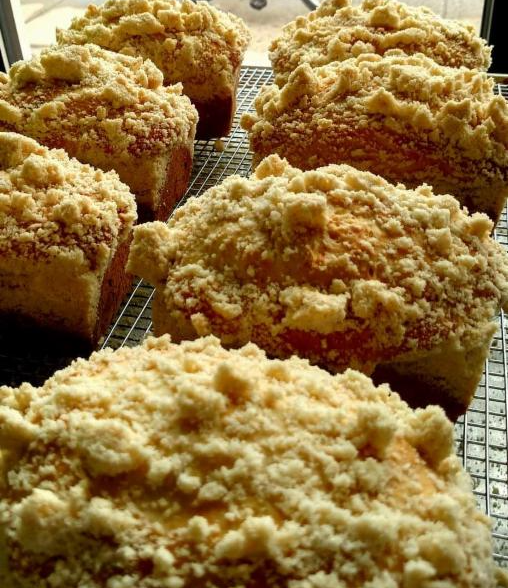 Placek– $4.75 A sweet Polish yeast bread with crumble topping. Pull Apart Dinner Rolls $9.50/doz. 9 in. Quiche – $17.95 Our handmade quiche are made with a buttery crust, delicious local cheeses and ingredients. Quiche are frozen, ready for you to freshly bake at home. Farmers & Artisans Fresh Polish Kielbasa Approx. 1 lb (4 frozen links) – $8.99/lb. Made in-house with local ground pork, no hormones or antibiotics. Place your orders by Sunday, April 14! Note: We will be closed Easter Sunday.